This is a poster with a quote "Friendship is One Mind in Two Bodies" by Mencius. 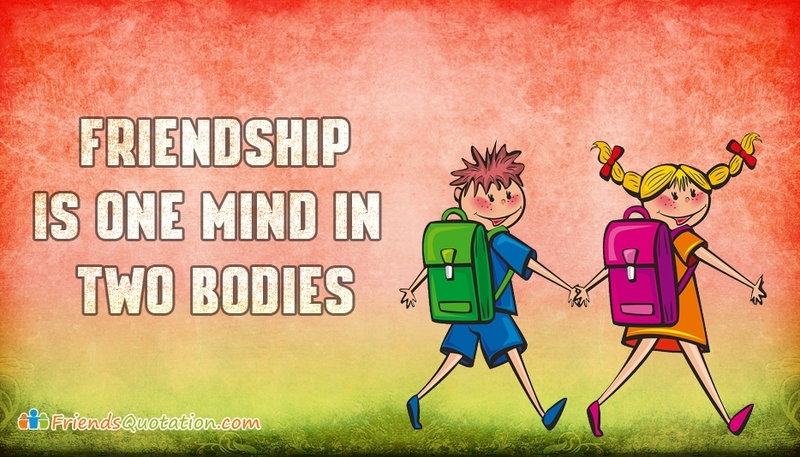 Share this friendship image with your sweet and best friends through facebook, WhatsApp, Pinterest and others. Share the joy of having the great friends with this image. Let all your friends know how much you value their friendship and your love towards them.